Green Diplodocus Knitted Dinosaur Soft ToyRed Triceratops Knitted Dinosaur Soft Toy. 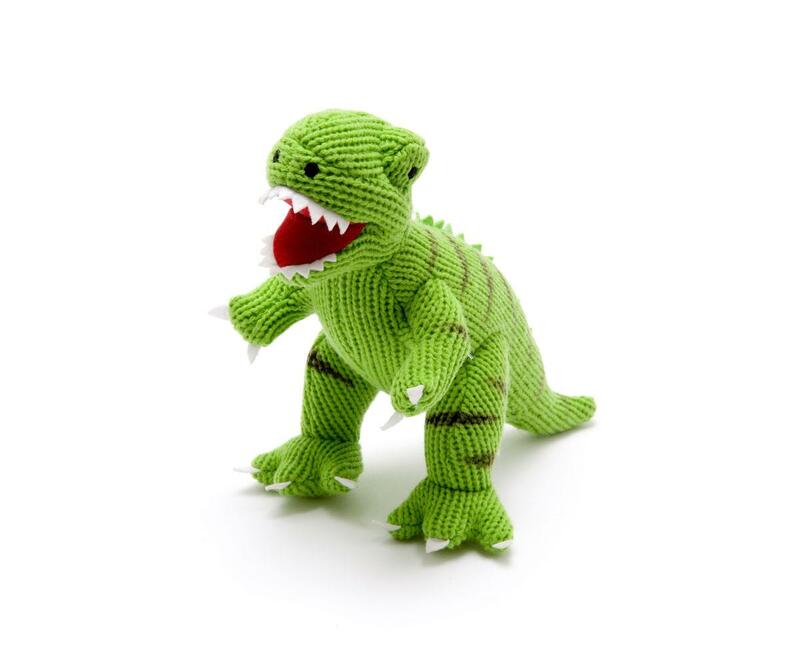 We like to think that our knitted T Rex dinosaur toy was the inspiration for George's dinosaur on Peppa Pig. We have no proof of this except that our dinosaur toy is green and is often bought as a gift for two year olds so that's enough isn't it? A perfect kids toy for dinosaur mad children. If you are looking for dinosaur toys for toddlers, look no further! Best Years Knitted Original T-Rex is a lovely plush toy that is suitable for all ages including new borns. It's truly an iconic toy.